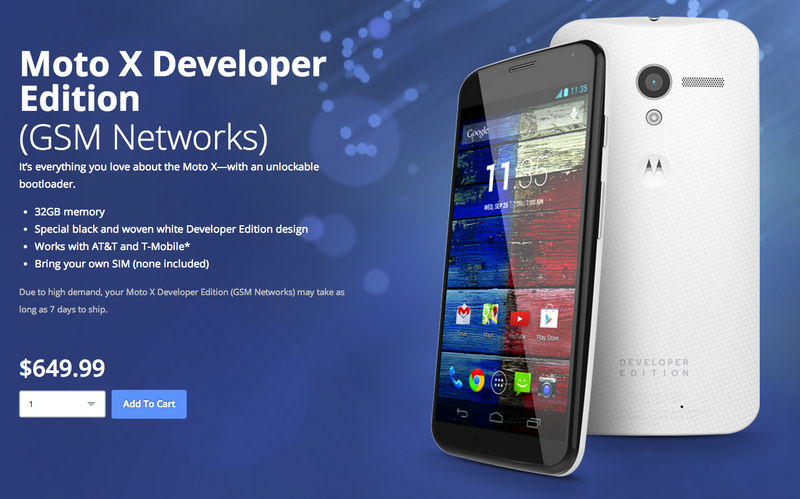 The Moto X Developer Edition for GSM networks (T-Mobile and AT&T here in the States) is now available from Motorola’s online shop for $649.99. If you had been holding out for this two-toned version of Motorola’s 2013 flagship, I would suggest jumping on it immediately. Both the Moto X Developer Edition for Verizon and DROID MAXX DE went live on Wednesday and sold out before the night was over. For those curious, this GSM version does work on both T-Mobile and AT&T’s LTE networks. It also comes with 32GB of storage and a special two-toned paint job with the words “DEVELOPER EDITION” on its rump. Images Reportedly Show Android 4.4 "Kit Kat" UI Changes - New Dialer, Messaging, and More?